Gostick is a global workplace expert and thought leader in the fields of corporate culture, leadership, and engagement. 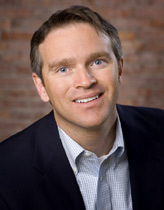 He is founder of the training and consulting company The Culture Works and author of the #1 New York Times, USA Today and Wall Street Journal bestsellers All In and The Carrot Principle. His books have been translated into 30 languages and have sold 1.5 million copies around the world. Title: The Engagement Effect: How the best managers are engaging employees to meet the needs of a volatile, uncertain, complex and ambiguous world The Dilemma: Financial performance in high-engagement organizations is 44 percent higher than in low engagement organizations. Some 90 percent of senior leaders believe employee engagement is a key driver of business performance. But only 24 percent think their employees are engaged enough to move their businesses forward. The Research: New York Times bestselling author and leadership expert Adrian Gostick presents findings from 20 years of research, with a total of 850,000-people now surveyed, to illustrate the steps today's most successful organizations use to generate superior levels of employee engagement to drive energy, focus and innovation. His work shows exactly which leadership behaviors move engagement and which don't. The Result: In this practical and thought-provoking keynote, Gostick introduces a practical guide for leaders, showing them exactly how to move the needle on employee engagement. The author drills deep with case studies of real managers in action and practical examples of proven drivers of engagement such as 1) alignment with future vision, 2) enhanced trust and innovation, 3) transparent communication, 4) career development, and 5) strategic recognition of contributions. The Audience: Designed for senior leaders and managers, Adrian Gostick has presented "The Engagement Effect" to corporate audiences and associations worldwide. The session is typically customized to an organization's specific engagement challenges. Title: Carrots 2.0: How today's managers use recognition to engage their people, retain talent, and accelerate performance The Dilemma: Most managers want to create cultures where their teams achieve above-and-beyond results, but for a culture to really take off teammates must encourage each other on a daily basis. The answer is in rooting for each other: having each other's backs, appreciating strengths, and recognizing strategic behaviors. 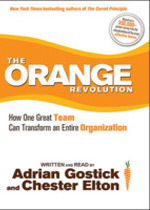 The Research: Based his #1 bestselling book The Carrot Principle, which unveiled a 10-year, 200,000-person survey, Gostick has become the preeminent authority on employee recognition. Now, he introduces us to Carrots 2.0-showing incontrovertible evidence that today's employees respond best when they are recognized for things they are good at and for those actions where they had to stretch. The Result: Gostick introduces audiences to new generational and industry-specific data from his 2016 proprietary survey of 14,000 working adults-helping managers link recognition to what is most meaningful to their employees. He introduces practical concepts that help managers encourage excellence, including ideas such as appreciation vs. recognition, effort vs. achievement, and praise vs. rewards. The Audience: Designed for managers, Adrian Gostick has presented "Carrots 2.0" to corporate audiences and associations worldwide. The session is typically customized to an organization's specific recognition needs and can also include the organization's available R&R tools. How to lead and retain generations in the workplace The Dilemma: By 2024, 75 percent of the workforce will be Millennials and Gen Z. The best leaders are retaining more of their key, young talent by creating meaningful career discussions from day-one, and are helping younger workers understand their impact on the greater purpose of the organization. The Research: Based on Adrian Gostick's bestselling book "What Motivates Me" with the findings of an 850,000-person research study, and introducing Gostick's Primary Research Study of thousands of millennials, the author identifies practical methods to inspire today's young workers to increase levels of commitment, enhance feelings of inclusion, and speed the process of onboarding. The Result: In addition to learning how to help team members of all generations work together more effectively, leaders in this session will discover ways to reduce employee attrition by helping each employee understand their core motivators and sculpt the nature of their positions to better match those drivers. The truth is very few leaders know what is really motivating to their people or, even if they do, don't know how to apply that information to day-to-day work. The Audience: Designed for senior leaders, managers, and employee groups, the authors have presented "What Motivates Me?" to corporate audiences and associations worldwide. Some groups have participants complete the online Motivators Assessment before the session. : Real skills for inspiring employees, leading a team, and winning in today's transformative marketplace The Dilemma: For leaders looking to drive innovation, diversity, and inclusion in their teams, many established established management practices are doing more harm than good. Too many leaders are dampening their employees' exuberance and refreshing diversity with old-school management approaches that are killing their cultures. The Research: Adrian Gostick has been one of the most influential voices in leadership research and organizational consulting for more than two decades, but it's his research over the last few years that's garnering extra attention. After surveying more than 14,000 working adults in 2015-16 alone, he has found 5 principles of effective leadership that managers in the 21st Century can employ to great effect, and 5 principles that must be avoided. The Result: In a fresh, funny and challenging keynote presentation, Gostick debunks myths such as The Smartest Person in the Room, Treating Everyone the Same is Fair, Appreciation Comes in a Paycheck, and We'll Let You Know if You Mess Up. He teaches audiences how to lead in such a way that today's employees will follow-including establishing a clear future vision, enhancing diversity, increasing trust levels, and providing opportunity and growth development paths. The Audience: Designed for senior leaders and managers, the author has presented "Be a Better Manager by Friday" to corporate audiences and associations worldwide. The session is typically customized to an organization's specific leadership challenges. Title: All In: How the best leaders develop a culture of belief & drive big results The Dilemma: While most leaders understand their most reliable competitive advantage comes from their people, few know how to get their teams "all in"-convincing employees to buy into the strategy they've put forward. If a culture is clear, positive, and strong, then people will believe what they do matters and that they can make a difference. If a culture is dysfunctional-chaotic, combative or indifferent-employees will spend more time thinking about why the people sitting next to them should be fired than getting fired up themselves. The Research: Teaming up with research giant Towers Watson, #1 bestselling author Adrian Gostick presents the findings of an unprecedented 300,000-person study conducted in the worst of the recession for his book "All In." Based on this breakthrough research and his extensive consulting experience with a who's-who of successful organizations, he presents a simple roadmap that all managers can follow to create a high-achieving culture in their own teams where employees are engaged, enabled and energized. The Result: Gostick offers specific how-to's for each step, and tells fascinating stories of leaders in action that vividly depict just how these powerful methods can be implemented. Audiences will learn: the 3 research-based characteristics of the world's most profitable, productive organizational and team cultures; the 7 steps today's most successful leaders use to generate buy-in; and how managers at any level can build a productive workgroup culture of their own where employees commit to the culture and give an extra push of effort. The Audience: Designed for senior leaders and managers (although sometimes tailored to include all employees), Adrian Gostick has presented "All In" to corporate audiences and association conferences worldwide. The session is typically customized to an organization's specific culture challenges. The Carrot Principle illustrates that the relationship between recognition and improved business results is highly predictable--it's proven to work. But it's not the employee recognition some of us have been using for years. It is recognition done right, recognition combined with four other core traits of effective leadership. Gostick and Elton explain the remarkably simple but powerful methods great managers use to provide their employees with effective recognition, which all managers can easily learn and begin practicing for immediate results. There's a crisis in business today," say corporate recognition consultants Gostick and Elton. "The rhetoric we've been using for years-about people being 'our most valuable asset'-has actually come true. Without much warning, we woke up one day and realized that having the right talent in this competitive marketplace is the key to success . . . Go figure." But there is a way to retain your best employees and win their loyalty and commitment: It's called Employee Recognition. Managing with Carrots illustrates how to implement a strategic employee recognition program and presents case studies of how North America's finest companies create powerful recognition experiences. To have any hope of succeeding as a manager, you need to get your people all in. Whether you manage the smallest of teams or a multi-continent organization, you are the owner of a work culture-congratulations-and few things will have a bigger impact on your performance than getting your people to buy into your ideas and your cause and to believe what they do matters. Bestselling authors of The Carrot Principle and The Orange Revolution, Adrian Gostick and Chester Elton return to answer the most overlooked leadership questions of our day: Why are some managers able to get their employees to commit wholeheartedly to their culture and give that extra push that leads to outstanding results? And how can managers at any level build and sustain a profitable, vibrant work-group culture of their own? These leading workplace experts teamed up with research giant Towers Watson to analyze an unprecedented 300,000-person study, and they made a groundbreaking finding: managers of the highest-performing work groups create a "culture of belief." In these distinctive workplaces, people believe in their leaders and in the company's vision, values, and goals. Employees are not only engaged but also enabled and energized (termed the three Es), which leads to astonishing results-average annual revenues three times higher than for organizations lacking such a positive culture. And this was true during a period that included this most recent recession. Based on their extensive consulting experience and in-depth interviews with leaders and employees at exceptional companies such as American Express, Cigna, Avis Budget, Pepsi Bottling, and Hard Rock, the authors present a simple seven-step road map for creating a culture of belief: define a burning platform; create a customer focus; develop agility; share everything; partner with your talent; root for each other; and establish clear accountability. Delving into specific how-tos for each step, they share eye-opening stories of exceptional leaders in action, vividly depicting just how these powerful methods can be implemented by any manager. All In draws on cutting-edge psychology and all of the creative genius that have made Gostick and Elton a must-read for leaders worldwide. This vital resource will empower managers everywhere to inspire a new level of commitment and performance. From New York Times bestselling authors and renowned leadership consultants Adrian Gostick and Chester Elton comes a groundbreaking guide to building high-performance teams. What is the true driver of a thriving organization's exceptional success? Is it a genius leader? An iron-clad business plan? Gostick and Elton shatter these preconceptions of corporate achievement. Their research shows that breakthrough success is guided by a particular breed of high-performing team that generates its own momentum-an engaged group of colleagues in the trenches, working passionately together to pursue a shared vision. Their research also shows that only 20 percent of teams are working anywhere near this optimal capacity. How can your team become one of them? What Motivates Me will help readers align the work they do every day, for the rest of their lives, with what truly motivates them. It also includes a code to a free online motivators assessment along with a set of thought-provoking exercises to help readers sculpt their jobs with 60 powerful strategies. After analyzing the results of 850,000 interviews, the authors sought to discover why so many people are not as engaged and energized as they could be at work. They found those who are happiest and most successful are engaged in work that aligns with what motivates them. 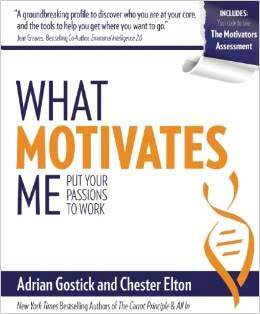 What Motivates Me offers an extensively tested method to help readers identify their core motivators and figure out the disconnects between their passions and their current work, and guides all those searching for joy and engagement by asking the important questions - "What motivates me?" and "What can I do about it?"